The current regime’s last and interim budget presented by Union Minister Piyush Goyal allocated Rs 60,000 crore for Mahatma Gandhi National Rural Employment Generation Act, the flagship employment generation scheme. It is the highest-ever allocation since inception of the Act in 2005, but it is still not enough considering the high demand of work. In the last financial year too the government had allocated its highest ever to the scheme — Rs 50,480 crore — but even then it had proved to be insufficient. India’s flagship rural employment generation act is facing a fund crunch as 87 per cent of its allocated funds had been spent till October 22, 2018. By the end of December, almost 99 per cent of the total allocated funds had been spent owing to the demand of work from rural areas in the backdrop of drought in more than 250 districts. 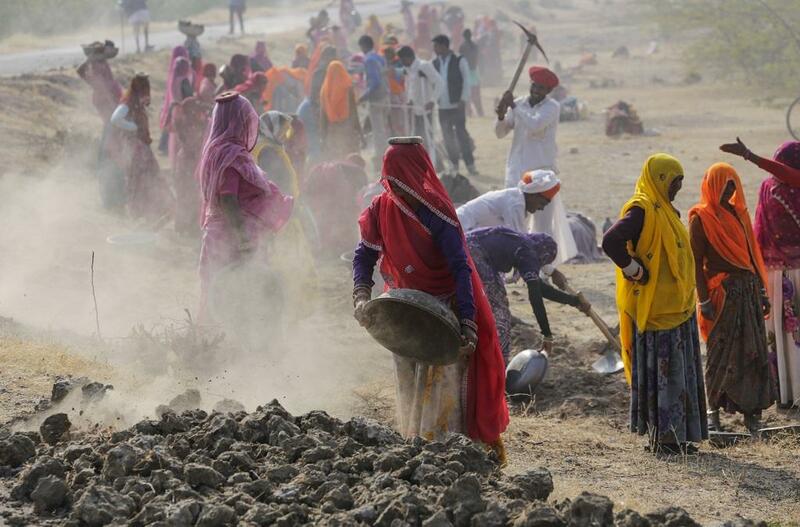 Civil society organisation NREGA Watch says MGNREGS budget should be at least Rs 80,000 crore to meet out demand. In the budget speech, Union minister Piyush Goyal said additional amount will be provided if need be. In 2018-19, the total amount released by the Centre and state governments so far is Rs 59,709 crore, when the total expenditure has been Rs 63,537 crore. This clearly shows that there is a deficit of Rs 3,828 crore already. In the wake of fund crunch, several members of Parliament, activists, former bureaucrats, academics and leaders of farmers’ movements wrote an open letter to the Prime Minister in January 2019 highlighting the chronic underfunding of the MGNREGA. Within a few days of this letter, the central government announced a supplementary budget of Rs 6,084 for the ongoing financial year. This will increase the total NREGA budget for the 2018-19 to Rs 61,084. Besides MGNREGS, the government also allocated Rs 19,000 crore for construction of roads in rural areas under Pradhan Mantri Gram Sadak Yojana (PMGSY). This budget saw an increase in allocation by Rs 3,500 crore compared to the previous year.